In deep fat fryer or heavy 4-quart saucepan, heat 2 inches vegetable oil to 350°F. 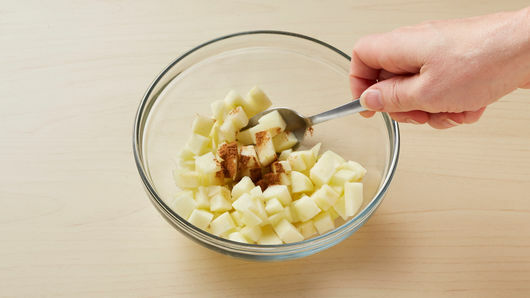 In small bowl, mix apple and cinnamon until well mixed. Separate dough into 8 biscuits. Using serrated knife, cut each biscuit horizontally to within 1/2 inch from edge to form a pocket. 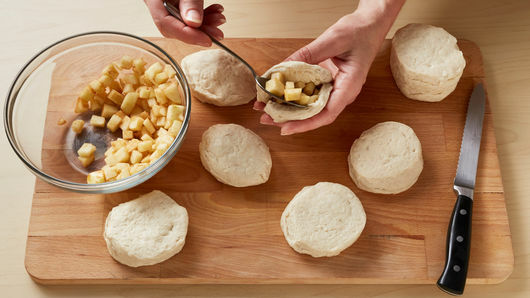 Spoon about 2 tablespoons apple mixture in center of each split biscuit; firmly pinch edges to seal. Shape each biscuit into 2 1/2x3 1/2-inch oval. 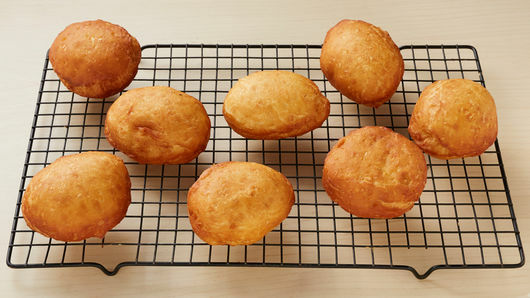 In hot oil, place 2 biscuits at a time; cook 4 to 6 minutes, turning once, until deep golden brown. Using slotted spoon, remove fritters from oil; place on cooling rack. In medium bowl, mix powdered sugar, melted butter and 1 tablespoon milk. 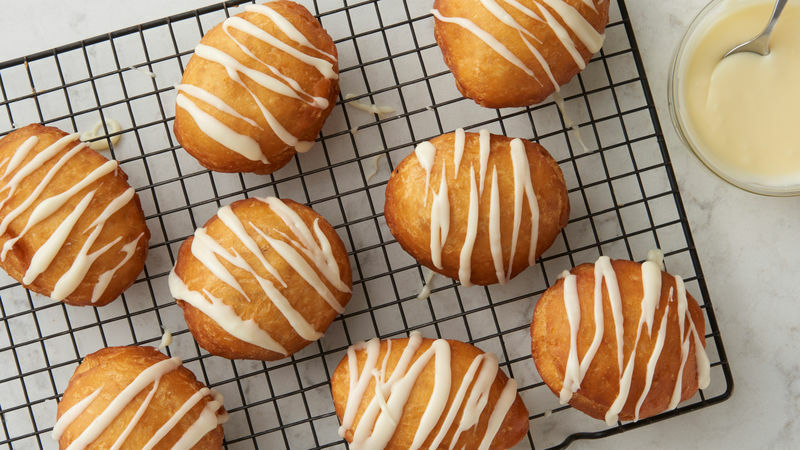 If necessary, add additional milk 1 teaspoon at a time until glaze is thin enough to drizzle. 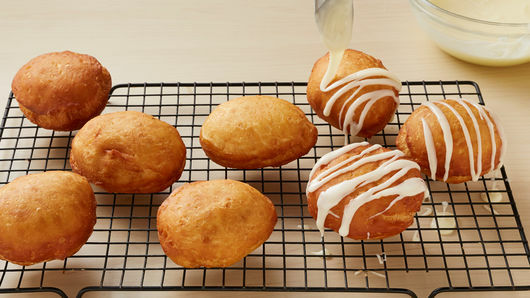 Drizzle over warm fritters. You could also serve these for dessert with a scoop of vanilla ice cream.